You’re rough. You’re tough. But your skin shouldn’t be. 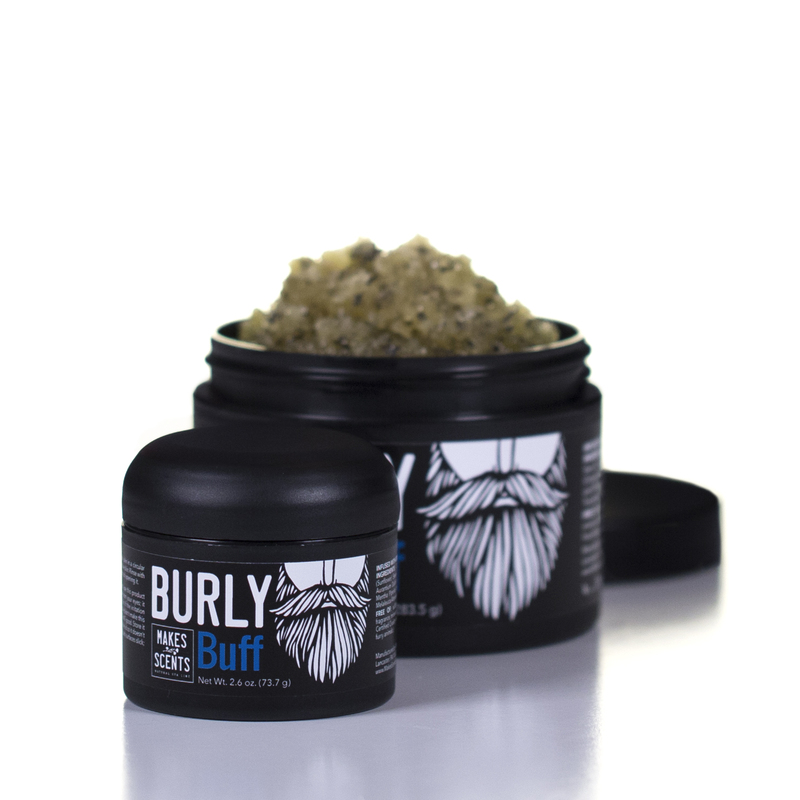 Be a hero and slough off all those dull, dead skin cells with Burly Buff. As it exfoliates with organic sugar, it also fights nasty free radicals and nourishes skin with oils of sunflower and safflower. But that’s not all. 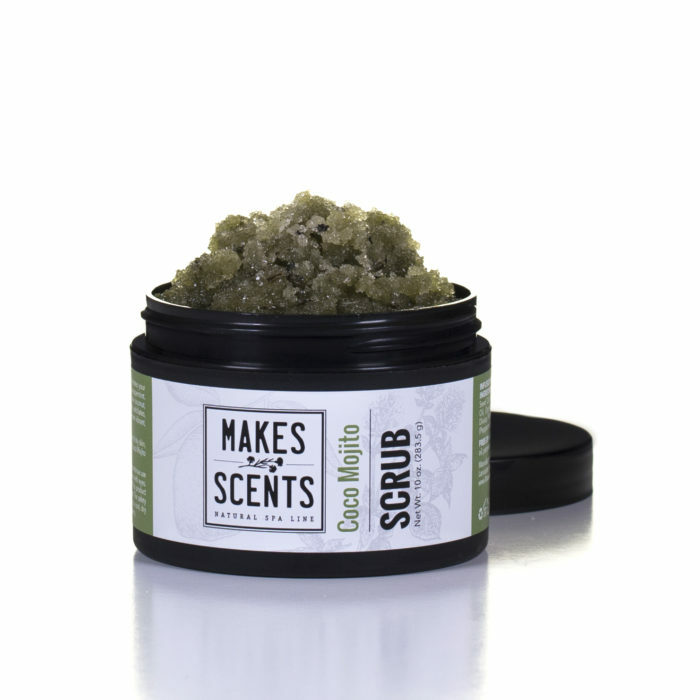 Made with orange peel and tea tree oils, this manly scrub detoxifies and helps fight fungi while peppermint oil soothes muscular aches and pains. Want bragging rights? 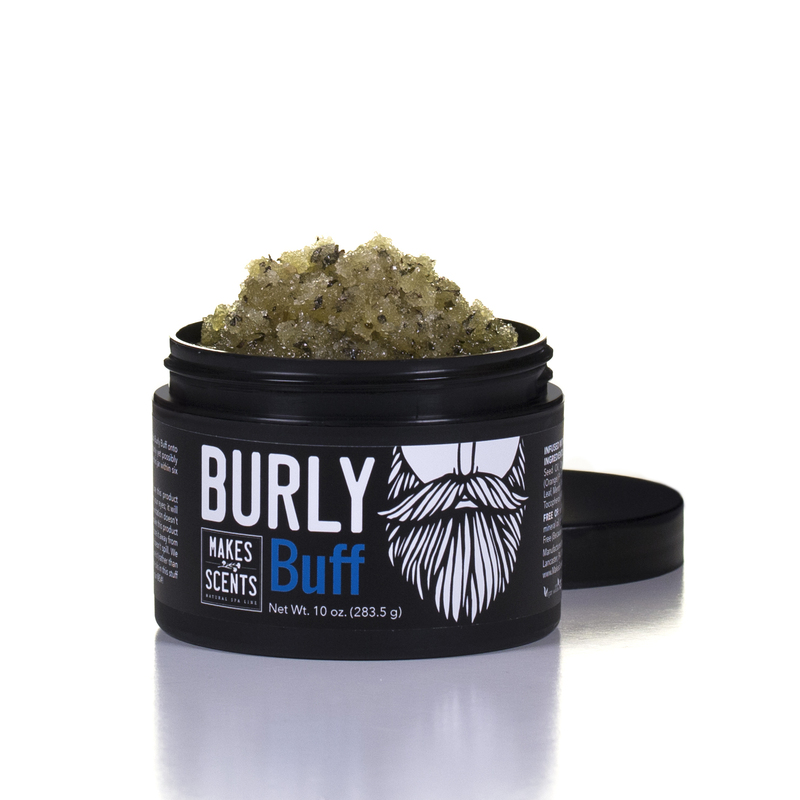 Use Burly Buff on your bod. INGREDIENTS: Organic Sucrose (Sugar), Organic Helianthus Annuus (Sunflower) Seed Oil, Organic Carthamus Tinctorius (Safflower) Oil, Citrus Aurantium Dulcis (Orange) Peel Oil, Cupressus Funebris (Cedarwood) Oil, Mentha Piperita (Peppermint) Leaf, Mentha Piperita (Peppermint) Leaf Oil, Melaleuca Alternifolia (Tea Tree) Leaf Oil, Tocopherol (Vitamin E). USE: Mix the rockin’ stuff in this jar before use. Rub Burly Buff onto dry skin in a circular motion, but not too rough or you’ll irritate your manly yet possibly sensitive skin. Rinse with warm water, dry, and slather on Burly Balm. Use this jar within six months of opening it. WARNINGS/CAUTIONS: Respect your common sense, Man! Do not use this product anywhere other than on the skin of your big bad body. Keep it away from your eyes; it will do no good there. Do not eat it. Stop using it if it irritates your skin. If the irritation doesn’t go away, put your manly ego aside and consult your doctor. We didn’t make this product to cure, treat, or prevent any diseases. It’s good, but it’s not THAT good. Store it away from heat and open flames, like campfires and chimineas. Close the lid so it doesn’t spill. We didn’t put a spatula in there just because it looks cool; we want you to use it (rather than your grubby man paws) to stir Burly Buff before use. And use caution – the oils in this stuff can make your shower and bath surfaces slick; don’t slip, slide, and bust your @$#! Be the first to review “Burly Buff” Click here to cancel reply.